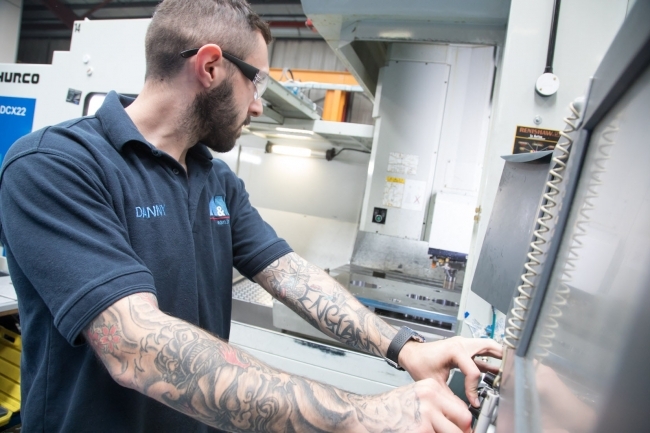 A Black Country precision engineering specialist is reaping the benefits of a major investment programme after landing new contracts in automotive, aerospace, F1 and for parts for automation equipment. 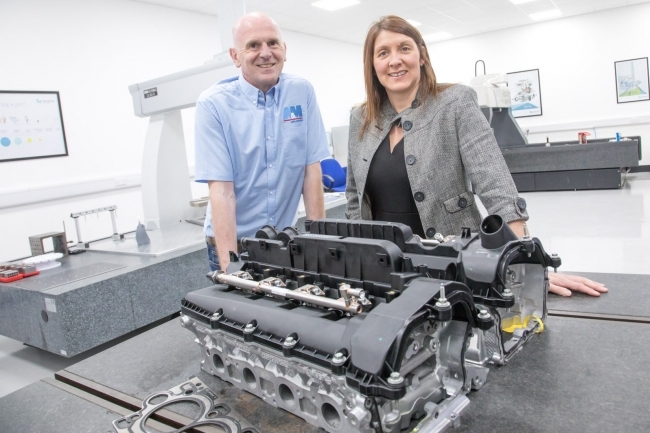 A&M EDM, which employs 58 people across its two sites in Smethwick, is heading towards £5m turnover for the first time in its 15-year history after setting its sights on supplying high value, high-performance components, including the development of engines for unmanned vehicles. Support from the Manufacturing Growth Programme (MGP) has also helped it to identify improvements in its marketing activity, strategy and the implementation of a new environmental system that is set to lead to ISO:14001 accreditation shortly. “We’ve come a long way since I started the business a few doors down, with just two people and a few machines,” explained Mark Wingfield, Managing Director. He continued: “We invited MGP to come in and look at our business and how we could increase turnover and our manufacturing efficiency. The discussions were great and resulted in the creation of an action plan that focused on our approach to customer relationships, strategy and digital marketing. The Manufacturing Growth Programme introduced A&M EDM to Enki-Environmental, who worked with the management team to develop systems that measured environment impact and ensured all waste streams were minimised. This led to a new recycling strategy, re-using scarp wire in production and the installation of LED lighted to reduce energy costs and improve the working environment. All of the workforce has also received training as part of the improvement process. Helen Fortune, Manufacturing Growth Manager at MGP, added her support: “A&M EDM is an innovative, cutting-edge business and is keen to seek external assistance to help them get even better and unlock their growth. “We have identified a number of areas they could improve on and the management team and workforce have embraced them, developing and rolling out a robust environmental management system in just a few months. The MGP, which is funded by the European Regional Development Fund (ERDF) and delivered by Economic Growth Solutions (EGS), is promising to fill the void left by MAS by providing access to specialist assistance to help manufacturers to grow and improve. This will be achieved through a 19-strong network of experienced Manufacturing Growth Managers, access to industry specialists and the opportunity to apply for grants of up to £3,500. Support can be used for leadership and management training, R&D, lean manufacturing, productivity and capacity, quality systems, supply chain development and many other improvement projects. A&M EDM currently employs six apprentices out of its 58-strong workforce, with two former apprentices continuing with HNCs in Engineering.